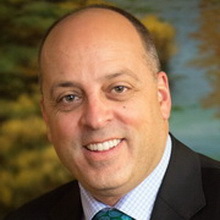 As a Member and Fellow of the American Academy of Estate Planning Attorneys, I am a frequent speaker on a variety of estate planning topics, regularly presenting educational seminars for the public as well as charitable organizations, employers, associations, special interest groups, and support groups in our community. I always do my best to reduce complex legal principles into understandable concepts. I feel grateful to have had the opportunity to be of service to so many families. I really do enjoy making a difference in the lives of people I work with. While protecting financial assets is often why someone seeks my help, strengthening and maintaining family unity is my primary goal and the number one reason why clients refer their friends and family to my office. I think it is important to make the most of every day and always find a way to laugh even when times are difficult. I am a Bahai and serve as vice chairman of the local Spiritual Assembly of the Baha’is of Brookhaven. Bahai’s believe in the unity of all mankind, the equality of men and women, and the elimination of all forms of prejudice. You can learn more about the Bahai Faith at www.bahai.us. 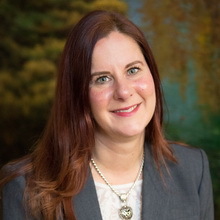 Christine joined Mark S. Eghrari and Associates in 1996 and has worked side by side with Mark to create the preeminent estate planning law firm it is today. She came to the firm with one goal and that was to make a difference in people’s lives, one life at a time. Christine attended SUNY Farmingdale where she graduated with an Associate’s Degree in Advertising Art and Design. 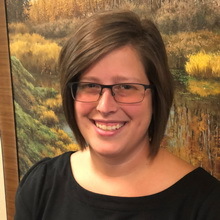 She attends local continuing education conferences on estate planning topics along with conferences held throughout the country by the American Academy of Estate Planning Attorneys. Christine is grateful to have the opportunity to help people in the community plan for the most difficult of times, disability or death, and to be able to give clients peace of mind knowing their family has a place to turn. Christine grew up in Ronkonkoma and continues to live in Suffolk County with her husband and two children, Joseph and Julianna. When not working, Christine can be found on a baseball field, basketball court or even performing in the Nutcracker ballet with her daughter. 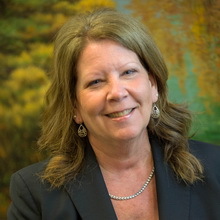 Peggy Probeck is our Senior Director of Client Services. Having worked in Customer Service with AT&T Telecommunications for over 20 years, Peggy joined our team in 2005. She is compassionate about providing to our clients the highest level of service while establishing a lifelong client relationship. She is always actively looking for new and exciting ways to deliver an experience to our clients that will transform the way they feel about dealing with some of life’s hardest realities, such as sickness and death. Peg is able to accomplish this by attending continuing educational conferences held throughout the country given by the American Academy of Estate Planning Attorneys. She is also a graduate of the Long Island Business Institute. As lifelong residents of Long Island, Peg and her husband currently live in Ronkonkoma and they are the proud parents of 4 children and one special granddaughter, Raegan. In her spare time, she loves spending time with her family and friends, being outdoors, relaxing at the beach and travelling. Cheryl Garrett is our Trust Administration and Probate Paralegal. She joined our firm in September 2013. She is a 2010 graduate from Dordt College in Sioux Center, Iowa and a 2013 graduate of Briarcliffe College in Patchogue, NY. She graduated with degrees in History, International Relations and Paralegal Studies. She spent time studying abroad in the Middle East for three months while earning her International Relations degree. Cheryl’s passion for helping our clients through the most difficult times in their lives stems from her own personal experiences. Her father having had a stroke when she was a freshman in high school, she discovered how difficult it can be to go through such an emotional time and still keep a level head. She truly enjoys helping to guide our clients through many of the pitfalls that can result after the passing of a loved one. 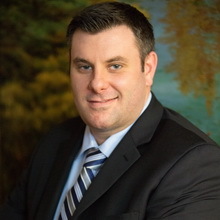 Jason Colasuonno is our Elder Law paralegal. He has an A.A.S. degree in Paralegal Studies from Suffolk Community College. Before joining Mark. S. Eghrari & Associates, Jason gained real life experience in several areas of law including real estate, loan modification/foreclosure, estate planning and elder law. Additionally, he was a mental health counselor for a prominent non-for-profit organization. Jason’s drive to become primarily focused in elder law was a result of his own family being impacted by the excessive cost of long-term nursing care. Jason takes great pride in helping those in the community and remains dedicated to helping families who are in need, ensuring that their legacies are left, and not lost. 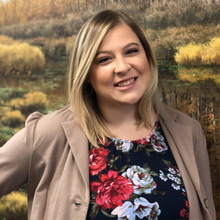 Shannah is our Estate Planning Paralegal and has been a member of our team since 2016. Shannah is committed to providing superior service and compassion for our clients. She provides a supportive role in every aspect of a client’s journey at our firm. Whether she is assisting with document production or meeting with clients & their families to make sure their wishes are carried out. Shannah is a graduate from Hofstra University with a Bachelor’s Degree in Speech and Communication.